Our teeth have a chamber on the inside that contains the dental pulp, which consists of nerves, blood vessels and soft tissue. 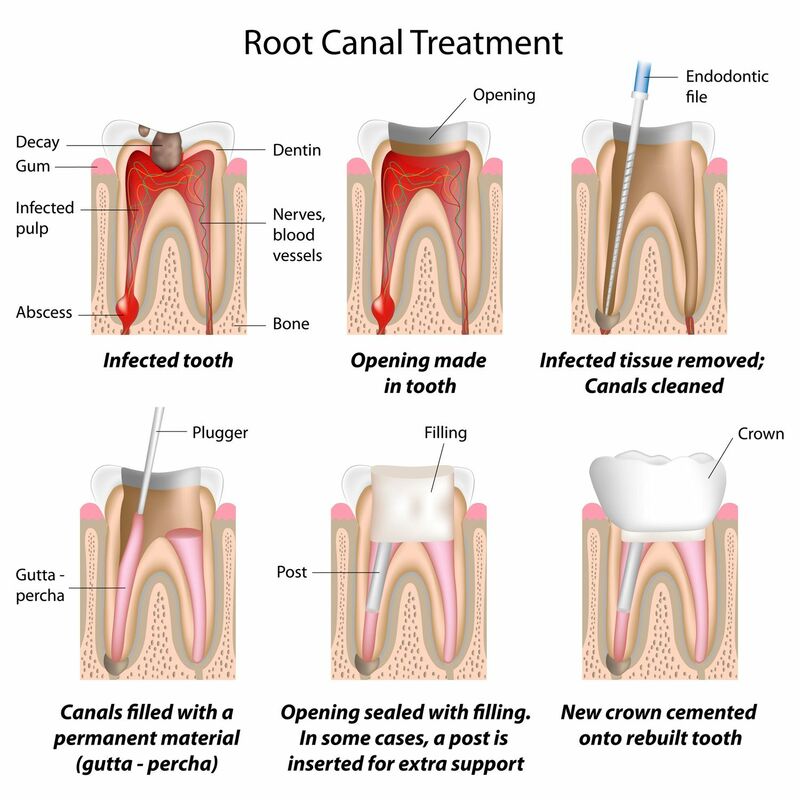 If the pulp gets infected or injured, due to a fracture, dental accident, decay or cavities, Root Canal Therapy, also known as endodontic treatment, might be necessary. Endodontic treatment is one of the commonly feared dental treatments, however, today’s dental technology, as well as our professional and experienced dentists at Riverside Dental Centre can make the process as smooth, simple and comfortable as can be. First, we make an opening into the chewing surface of the tooth, creating access to the pulp chamber. We then remove the infected pulp and cleans the space thoroughly, making sure that there’s no sign of infection left. The pulp chamber is then filled and sealed carefully, so that there’s minimum to no chance for the infection to reoccur. In most cases, a dental restoration has to be attached onto the tooth to restore the tooth’s shape, strength and function. The dental restoration also serves as prevention from future damage to the tooth. At Riverside Dental Centre in Trenton, we do our best to save your natural teeth. Early treatment means higher chances of saving the tooth. If you’re experiencing any of the following symptoms, book an appointment right away, so we can help you with your endodontic needs.